Boren Awards provide an opportunity for U.S. students to study languages and world regions critical to U.S. interests (including Africa, Asia, Central & Eastern Europe, Eurasia, Latin America, and the Middle East). The countries of Western Europe, Canada, Australia, and New Zealand are excluded. The Boren Fellowship allows graduate students to add an important international and language component to their graduate studies. Boren Scholars are awarded up to $20,000 for an academic year and Boren Fellows are awarded up to $30,000 for up to one year (52 weeks). Additional information on preferred geographic regions, languages, and fields of study are available through the Boren Awards website. Application information is also available online. For more information, please contact Elizabeth Hughes at ejhsears@uga.edu in the Honors Program. The GRAPES database catalogs extramural funding opportunities of interest to prospective and current graduate students, students working on a master’s thesis or doctoral dissertation, and postdoctoral scholars. It contains information on over 625 scholarships, grants, fellowships, and postdoctoral awards. Advanced search options allow users to refine their search by field, academic level, award type, award amount, and other criteria. The purpose of the NSF Graduate Research Fellowship Program (GRFP) is to help ensure the vitality and diversity of the scientific and engineering workforce of the United States. The program recognizes and supports outstanding graduate students who are pursuing full-time research-based master’s and doctoral degrees in science, technology, engineering, and mathematics (STEM) or in STEM education. The GRFP provides three years of support for the graduate education of individuals who have demonstrated their potential for significant research achievements in STEM or STEM education. NSF especially encourages women, members of underrepresented minority groups, persons with disabilities, veterans, and undergraduate seniors to apply. 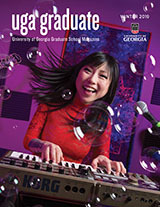 Fellows benefit from a three-year annual stipend of $34,000 along with a $12,000 cost of education allowance for tuition and fees (paid to the institution), opportunities for international research and professional development, and the freedom to conduct their own research at any accredited U.S. institution of graduate education they choose. Sponsored by the U.S. Department of State, the U.S. Student Fulbright program awards roughly 1,900 grants annually for graduating seniors, graduate students, and young professionals to engage in cultural immersion and exchange in over 140 countries worldwide. The primary aim of the Fulbright program is to further mutual understanding between the people of the U.S. and other countries. Grantees promote this mission by pursuing research, study, or creative projects, or teaching English to non-native speakers. The Fulbright program typically covers all costs for the year. The types of grants are listed below. For more information about each grant type, visit the UGA Honors Program website or contact Maria de Rocher in the Honors Program.